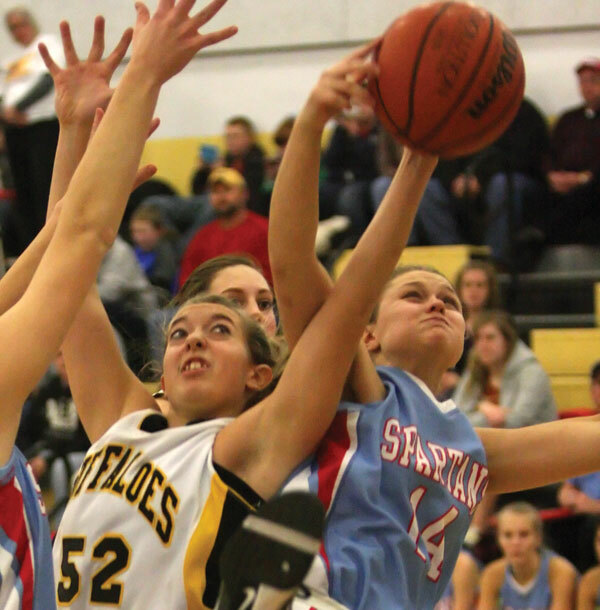 Floyd County High School’s girls’ varsity and JV teams destroyed Giles County in a Three Rivers District home game Friday night. The varsity rolled up 18 points in the opening minutes before Giles even got on the board and then cruised to a 78-32 victory. The win brings the Lady Buffs record to 10-3 and keeps them in contention for another run for the state finals. Likewise, the JV rolled to a 30 point margin. Likewise, the Floyd 8th grade girls ended a perfect season by defeating Patrick County at home on Friday night.